Madison's Lumber Reporter has learned that the United States' claim against Canada, for alleged subsidies on British Columbia's timber stumpage rates, has been reduced from US$499 to US$303.6 million. In the American rebuttal of Canada's defense, which was filed on Dec. 23, 2011 but only made public this week, the U.S. Trade Representative's (USTR) office is asking for almost 40 percent less penalty against Canada than previous U.S. filings had indicated. This reduced request to the international tribunal is in response to the Canada's defense, which was filed in November. Canada maintained, in its defense, that low quality beetle-kill timber was not misgraded, as was alleged, because if that were the case timber buyers would have bid more for stands with a significant proportion of low quality trees. 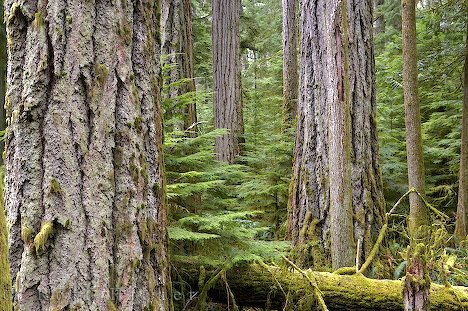 In further examination of the amounts paid for timber through B.C. Timber Sales, the U.S. found that B.C. buyers did indeed pay more for such stands. This new penalty amount requested in the American rebuttal suggests that USTR is confident that Canada will be charged with the entire penalty of US$303.6 million. Canada has until Feb. 3, 2012 to file its own rebuttal of this latest US document. Arbitration hearings in London, United Kingdom, will commence in March.